Four Seasons Safari Lodge Serengeti has launched a new week-long itinerary for guests to explore all that the world-famous wildlife region has to offer, while also allowing an optimum amount of time to relax at the Lodge for the perfect balance to the adrenaline of adventure. Seven Days in the Serengeti comprises a number of varied game drives from the centrally located safari lodge, from taking in the game viewing close to the Lodge to a day trip to the Ngorongoro Crater and learning the history of the Maasai paintings at Gong Rock in the vast grasslands of the Moru Kopjes area. The itinerary complements full day drives with shorter excursions to ensure guests have leisure time between the excursions and that there is opportunity to see wildlife in a varied number of regions of the Park. Further to the game drive excursions, the seven day itinerary also includes the chance to soar over the Serengeti Plains on a sunrise hot air balloon safari and to discover nature step by step in a guided walking safari. 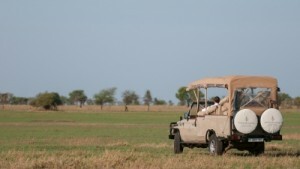 “The excitement of a safari vacation is shared by all who visit this region, yet due to the nature of the early morning starts and long drives, it can be hard to find the balance of seeing everything that you wish to see, while still having some time to simply enjoy being on vacation and to appreciate the beauty of your surroundings,” explains Martin Cody, General Manager of Four Seasons Safari Lodge Serengeti. With the seasonal movements of the Great Migration, Seven Days in the Serengeti is tailored to propose the best wildlife sightings depending on the time of year guests are visiting the Lodge. There is also flexibility to amend the order or location of any excursion to suit guest requests and personal guidance on each individual itinerary is offered by one of the Lodge’s on-site reservations specialists, who will customise the itinerary according to preferences and time of stay.